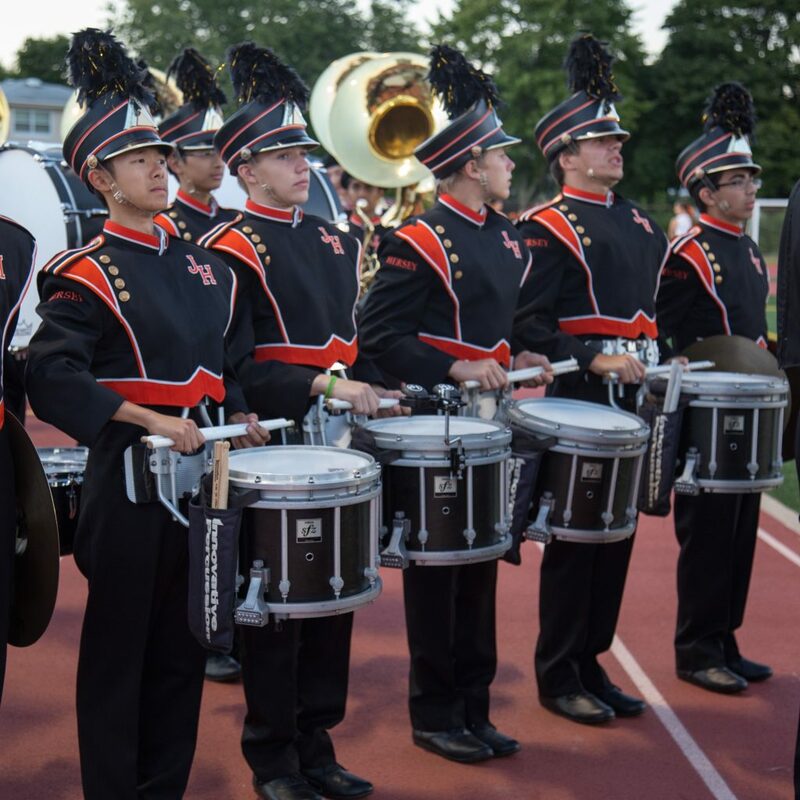 At the beginning of each school year, the band performs as a whole (the Marching Huskies) during the marching season (August to October). After marching season concludes, band members audition for positions in either the Concert or Symphonic band. The band fee is used for several things. It helps to cover the cost of the clinicians that are employed during band camp and throughout the year. It also covers the cost of band T-shirts that are used throughout the year and the black gloves that are a required part of the marching uniform. In addition, a portion of the fee is used for meals that are provided during marching competitions. Because the fee is budgeted and (largely) spent before band camp even begins, it is nonrefundable. Attendance at band camp is vital to the band’s success as an ensemble. During band camp, expectations for the year are set and group unity (a key component for success) is established and developed. In addition, the marching drill and music, obviously integral factors for success, are learned during this time. Any unavoidable conflicts must be reported to the band director in May or June prior to camp. Within each band, instrument groups are designated as “sections.” For each section, the band director selects a specific student or students to serve as peer leaders for the section. These individuals are generally upperclassmen who have achieved a higher performance level within the group and who possess leadership skills. They are responsible for assisting the director with overseeing the section in terms of preparation, performance, and general conduct. The Picnic/Fall Preview marks the end of band camp. On the evening following the lock-in, all of the band families are invited to enjoy a picnic dinner and then see the band in their first “real” performance before school actually begins. Some of the students (mostly freshmen) will share a spot in the drill (marching show). This is referred to as having a shadow or being a shadow. Basically, this means that these students will alternate practicing in a particular position in the show, and alternate for performances as well. Shared spots are generally based upon instrumentation needs, individual performance level or frequent rehearsal conflicts (due to sports, for example). During warmer weather, the students generally wear shorts (soft, athletic shorts, not cargo or denim) and a t-shirt. Because they will often take the jackets off between performances at competitions, they need to be wearing (at least) a t-shirt. During the colder part of the season, many students wear flannel pants/leggings and a long sleeved t-shirt under the uniform. The important thing is that whatever is worn underneath cannot show (e.g., like a turtleneck, or pants that are longer than the uniform pants) and are not so bulky that they do not make the uniform appear ill-fitting. No and Yes. Marching uniforms are kept at school in specially labeled garment bags in a locked uniform closet. The marching shoes are either kept in the band locker or taken home between marching performances. The kids are responsible for wearing black socks on the days that they will be performing. Concert and symphonic uniforms ARE given to the students to keep at home. On performance days, the students generally come dressed in the uniform rather than changing at school. Each year, we rely on a team of volunteers to handle any uniform issues. If you do not know who these people are, contact your band mentor contact for assistance. If you have a band directory, the names of these volunteers are listed in the front. Each year, the band participates in several competitions/performances within or around Illinois. Depending on the type of competition or performance, all or part of the band may travel to participate. Additionally, the band may participate in out-of-state competitions, performances or other trips. The determination for these trips is made by the director with the best interest of the band in mind. 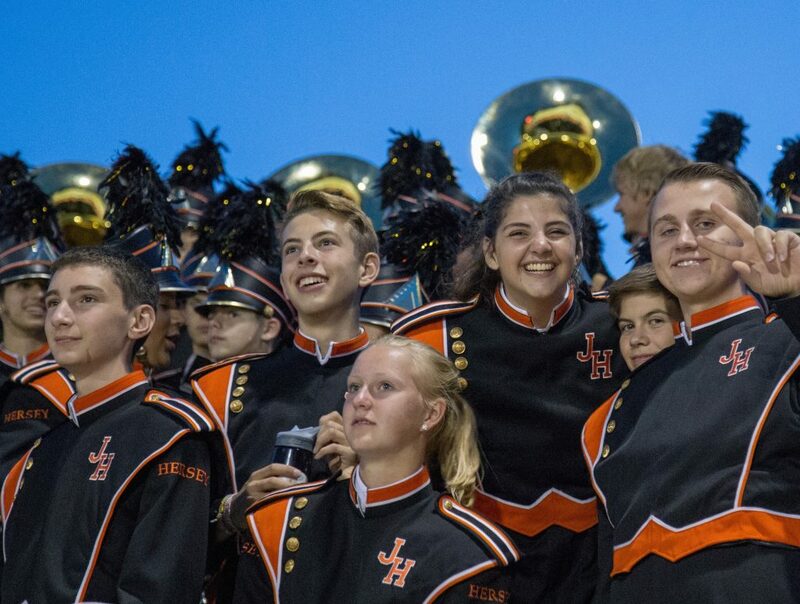 Since 1999, the Hersey band has made trips to New York, Florida, Washington D.C., and Indiana, among others.